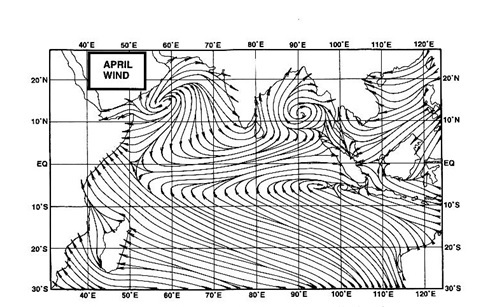 Not much in terms of cold weather here in India as on end of Jan. There was a slight, very minimal drop in night temperatures last week after the recent W.D. moved away, but not mu ch to really have any effects of real cold. The anomoly map indicates a large portion in red for the 3rd. week. And after this,at the weekend, the temperatures have started ris ing ! The IMD day temperature map of 31st. Jan shows it all, and I would easily mistake this for a map of 28th. Feb. Highs of 36c are seen in Nagpur (+5c) and Pune is at 34c ! In the north there is seen a gradual rise in the days into the 30s and high 20s. In Kashmir, Srinagar on the 31st. was warm at 13.5c. and a low of 0.7c was 1.3c above normal. Pahalgam, a hill resort in south Kashmir, continued to be the coldest place in the valley with the night temperature hovering below freezing point. The minimum temperature was - 3.6c, +6.4c above normal. In rest of the valley, the night temperature was hovering 0c to 2°c. 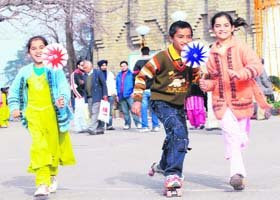 Simla enjoys an early Spring conditions, and the children on the Mall are sptightly, but missing the usual snows. Austrailia is in the grip of a record heat wave. The city of the Austrailian Open Tennis, Melbourne, was the worst hit. The tennis stadium had to be covered as the playing conditions became unbearable, with the temperature in the playing arena at 60c !! Melbourne has endured three successive days of temperatures above 43C for the first time in recorded history. The mercury reached 45.1C on the 30th, 44.3C on 29th. and 43.4C on Wednesday,28th.. On the 30th, 45.1C at 4.27pm was the second highest temperature ever recorded in Melbourne, behind only the 45.6C recorded on Black Friday, 13 January 1939. Melbourne's most sustained heatwave occurred in January 1908 when temperatures reached 39.9C (15th January), 42.8C (16th), 44.2C (17th), 40.0C (18th), 41.1C (19th) and 42.7C (20th). Other parts of Victoria also baked this week, with many places having their hottest January day on record. Many sites also set record highs for January minimum temperatures. The heatwave has also affected South Australia and Tasmania. Adelaide recorded a near-record maximum of 45.7C on 28th, and Scamander set an all-time record for Tasmania on 30th. with 42.2c. Melbourne's rainless spell now stands at 27 days, the longest since 1965 with a spell of 28 days.